Honestly it has been a whirlwind week that Ryan just reminded me that I forgot to mention that I had an interview with the CBC Calgary, The Homestretch with Doug Dirks. How could I possibly forget that…Guess I should not be blogging at 2:30am? Mary Katherine of the show contacted me after she saw our writeup in the Calgary Herald on Thursday. They were so amazing and accommodating! Here is our interview! Thank you so much Mary Katherine and Doug Dirks for giving me such an amazing opportunity! There are some really fantastic people in Calgary! I’m a lucky girl! 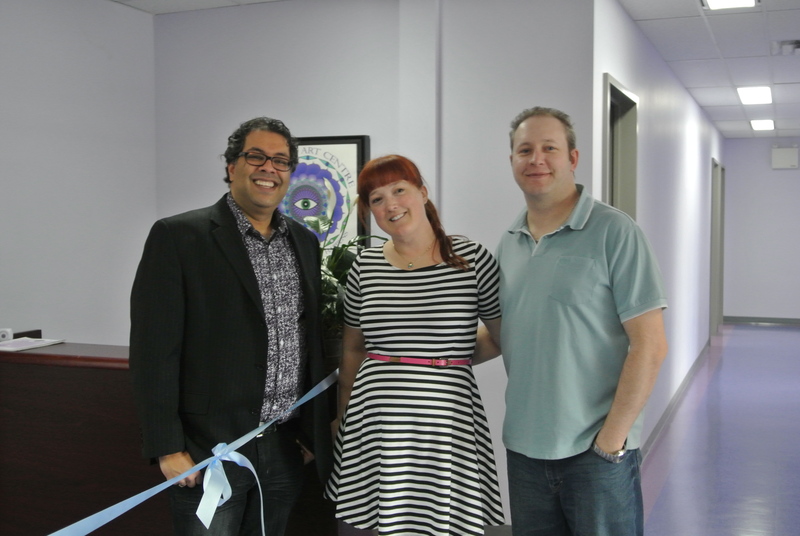 Our week started on Sunday with a visit from the Mayor of Calgary, Naheed Nenshi. What an incredible man to take time out of his busy schedule to come to Mandala to see what we are all about. He of course loved that our main colour is purple, one of his favourite colours. He also mentioned that he too lived in the North East and how a centre like ours was very much needed. I was on cloud nine, as I’m sure you can imagine. We also had a write up in the Calgary Herald on Mandala and what it is that we do. We are having our Grand Opening Celebration on Sunday April 14th from 11:00-4:30! Everyone is welcome and we will be having FREE Art Activities, Face Painting, Caricature Drawing, Snacks (including some gluten free ones), Yoga demos and so much more! We are located at Suite 226, 5401 Temple Drive NE! Come on by! We are open to all ages and abilities. A huge thank you to Mayor Nenshi, Alanna Nolan, Ange B, Stephen Hunt, Tom Babin, Chelsea, Beth and for everyone who made this week so amazing! As always a huge, gigantic thank you to my partner Ryan…he has helped me to make this dream come true.